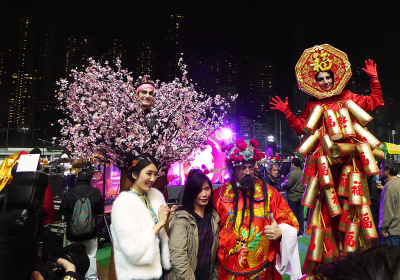 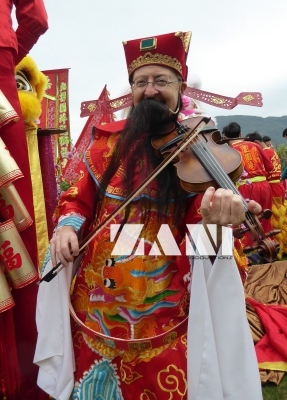 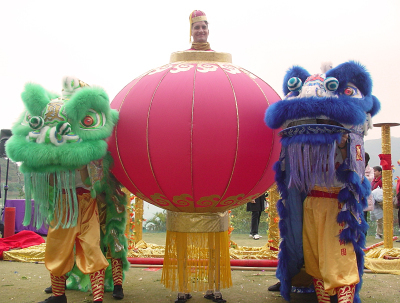 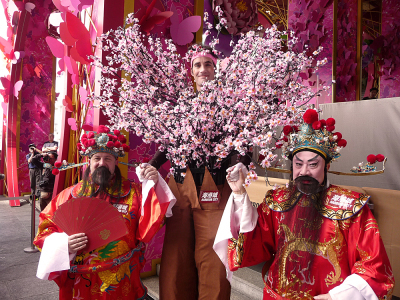 Lunar New Year is a very special moment for Hong Kong and Macau people. 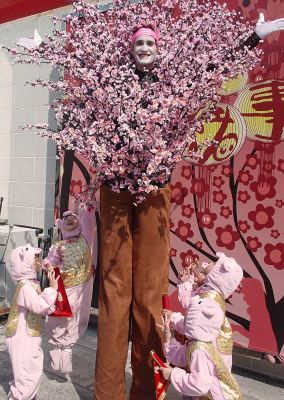 This is a time for family gathering and luck wishing to relatives. 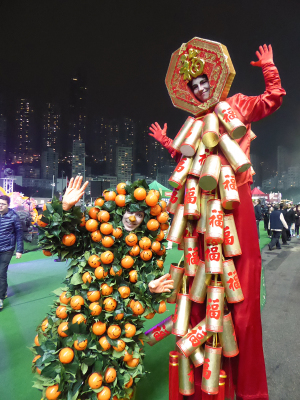 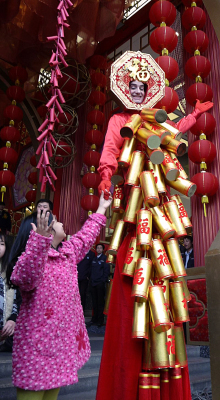 We created some very auspicious characters for this special occasion: the giant fire cracker on stilts. 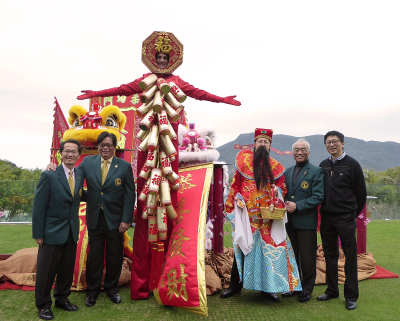 He normally travels with our very popular Choi San, the western, bilingual God of Fortune. 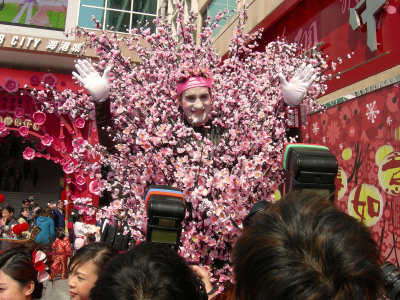 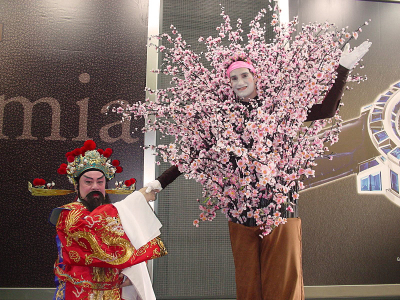 The peach Blossom tree was featured in all the Hong Kong press when it was released. 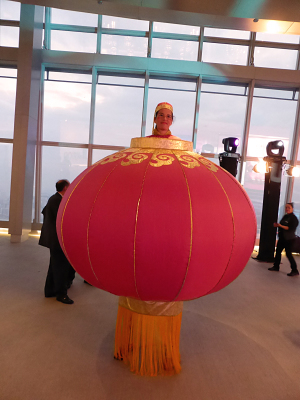 And it did represent CNY in Hong Kong and China in the International press as well. 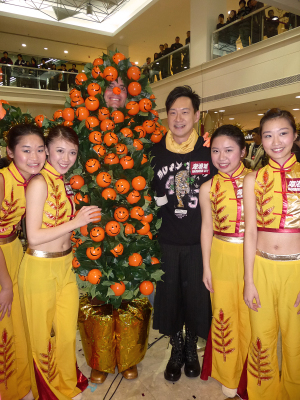 It has a funny companion: the tangerine tree. 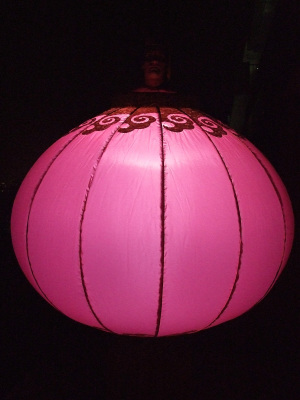 And finally our giant inflated lantern which can light up in a dark environment.